When you’re living with IBS, a lot of things can be a struggle. 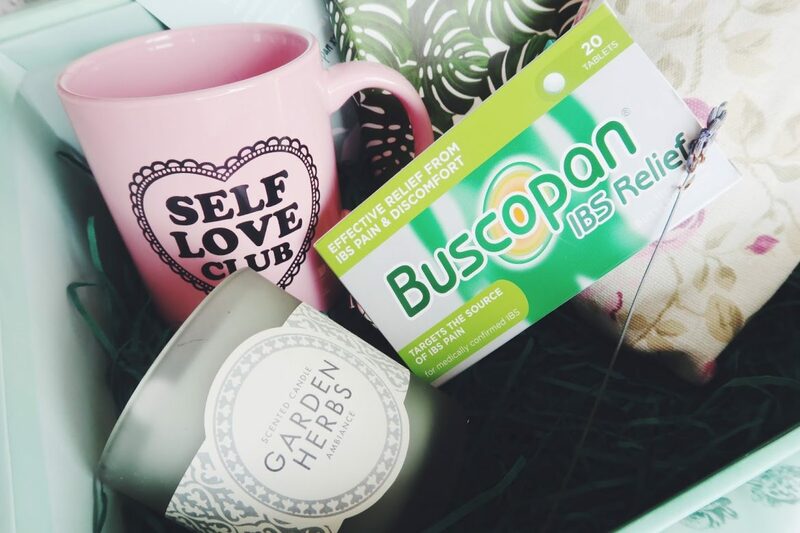 Buscopan has very generously sent me an IBS Truths Kit this week, and I’m in love with the contents! Not only do the products helpful towards IBS attacks, but they’re super self-care related, and I can definitely get down with that right now. My IBS story begins 3 years ago at my brother’s wedding. I had the absolute pleasure of contracting what they think is E-Coli at the resort we stayed at (love it). After I recovered, I went home and, along with dealing with a couple of eye diseases (no biggie), I realised that my movements weren’t the same. I was struggling with intense stomach cramps, constipation, diarrhoea and bloating after meals. I was a bit worried, so I went to the doctors. I was told that getting an actual IBS diagnosis would be hard, but that she *thinks* I have it. Now, don’t get me wrong, I love and support the NHS, but I have had a nightmare getting the help I need. 3 years on and I’m still struggling for an official diagnosis. When I had my blood taken, I was told I had autoimmune markers in my blood, which indicates a problem with my immune system. This was never chased up, and it’s something I’m still fighting for a diagnosis on now. Along with my IBS, I suffer from intense back pain and spasms, chronic fatigue and depression. Although I’ve come a long way in those 3 years, my IBS is always constant, and I suppose it always will be. However, it doesn’t have to ruin your life. There are ways to maintain the pain, constipation and the bloating. With my IBS, I find that I struggle most with my abdominal cramping above all else. After a meal, I’ll always get some cramping in my stomach. It can sometimes have me doubled over in pain, to be honest. When it first started happening, I would eating meals with friends in public places, through fear that I would struggle to look composed. I quickly found some ways to improve cramps over time. If I’m out, I’ll try and eat slower, taking in as much water as I can before eating a heavy meal. I still get cramps, but they seem to be less painful. If I’m home, I’ll take some Buscopan IBS Relief tablets. These cost £4.99 for 20 tablets, or £8.99 for 40 at Boots or Superdrug. You can also get them as a prescription on the NHS if your IBS causes chronic cramping and pain. Another way I’ll handle the pain is by drinking some green tea and placing a hot water bottle on my lower abdomen. 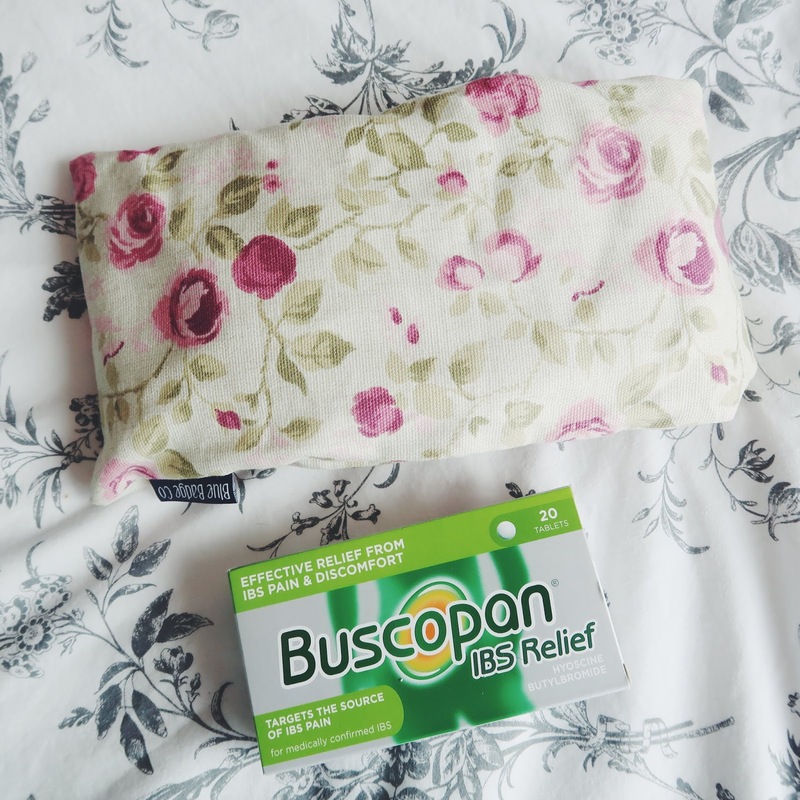 Buscopan has kindly sent a lavender scented microwave pouch (which I used last night) the smell is super calming and stays warm for a long time! 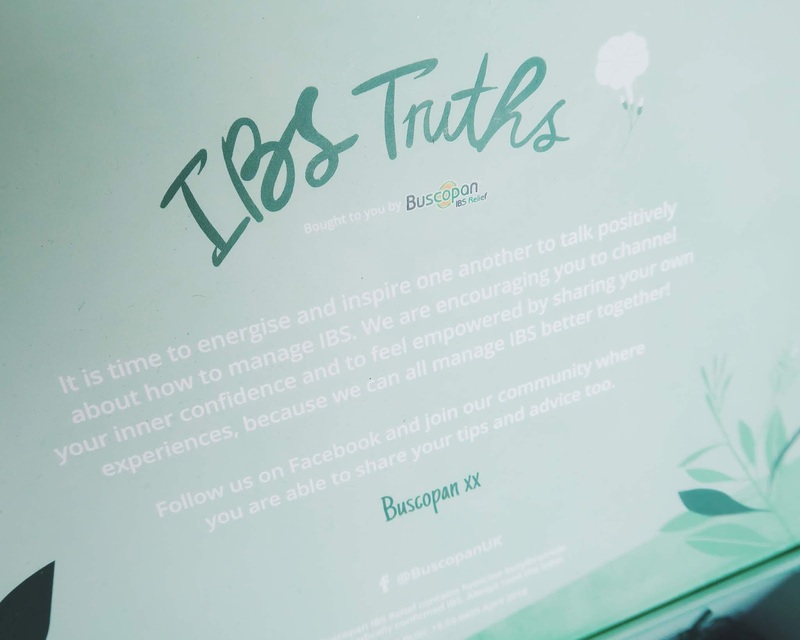 Buscopan has set up a Facebook group for those who struggle with IBS, and you can find it here. 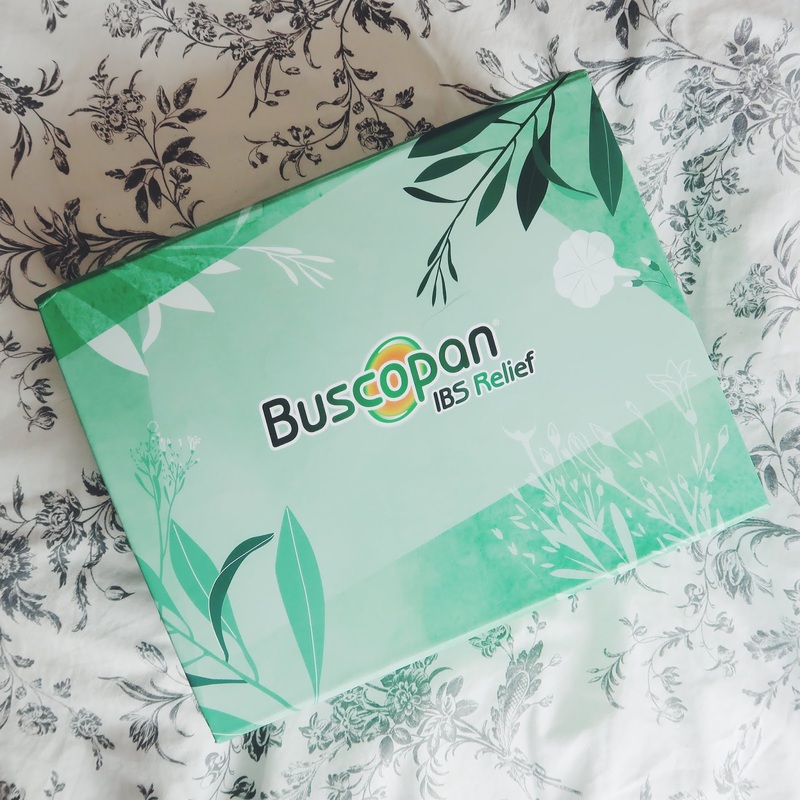 You don’t have to feel like you’re alone in your pain anymore, so let’s help each other out with Buscopan. 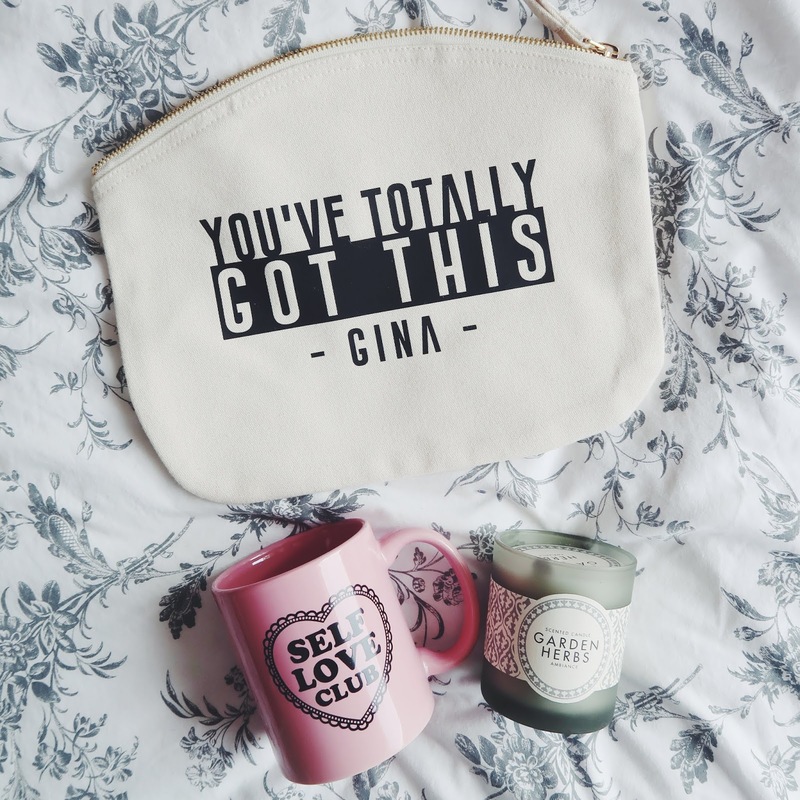 Living with an “invisible” chronic illness, such as IBS, can be a really hard struggle when you’re trying to live your best life. Cramping, needing to be near a toilet, and feeling general anxiety towards bloating and your IBS can have a really big effect on your physical life. It’s important to stay strong, keep going, and understand that you’re not alone. There are people out there who can offer advice (me being one of them!). Make sure you open up a dialogue with loved ones and ensure they understand what you’re going through at the moment. It can be hard going through something like IBS flare-ups alone, but you don’t have to. So glad you have found relief! I was diagnosed with post parasitical IBS. The struggle is real!